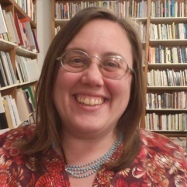 Jennifer Karmin has published, performed, exhibited, taught, and experimented with language across the U.S., Cuba, Japan, Kenya, and Europe. Her multidisciplinary writing has transpired at festivals, artist-run spaces, and on city streets. Venues for these pieces include: the Poetry Project, the Walker Art Center, Los Angeles Contemporary Exhibitions, and Woodland Pattern Book Center. She teaches creative writing to immigrants at Truman College and has been a Visiting Writer at Naropa University, Oberlin College, California Institute of the Arts, plus a myriad of sites. Since 2005, she has curated the Red Rover Series in Chicago. Past grants and residencies were sponsored by the Alfonso Gatto Foundation, the Chicago Department of Cultural Affairs, Columbia College, the Djerassi Resident Artists Program, the Illinois Arts Council, the Joseph Kellman Family Foundation, Kisii University, Links Hall, the Poetry Center of Chicago, Rochester Community Savings Bank, the Romanian-U.S. Fulbright Commission, Summer Literary Seminars, and the Synapses Foundation. Educated at SUNY Buffalo (BA) and the School of the Art Institute of Chicago (MFA). Teachers and mentors range from: Barbara Barg, Charles Bernstein, Robert Creeley, Alexis De Veaux, Susan Howe, Bernadette Mayer, Joan Retallack, Goat Island performance group.